As I said yesterday, my cards are now stronger and better. I got another Wood Nymph card as reward for completing another quest today and I wasted no time to level it up. 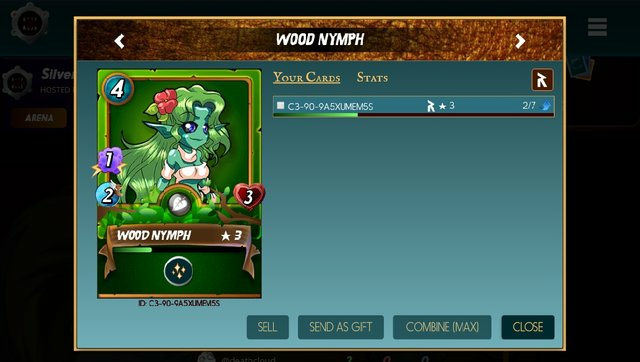 My Wood Nymph is now on level 3 and I need 5 more cards to level it up to level 4. I have also been playing in tournaments and know I will win one very soon.